Swimming, sunbathing or a wander around the fish market: Viareggio has everything you need for a relaxing day and is the starting point for an excursion to Florence. Follow in the footsteps of Dante, Michelangelo and Leonardo da Vinci and marvel at the beauty of the Renaissance. Alternatively, you can explore the medieval charm of Lucca or the Tower of Pisa. The coast is lined with sandy beaches, most part of privately owned facilities although there is a free beach area in the south part of the city. For a price at the private beach establishments, you get a beach chair and umbrella and use of facilities like changing rooms and restrooms. Most facilities have a snack bar too. The sea is usually calm and good for swimming. 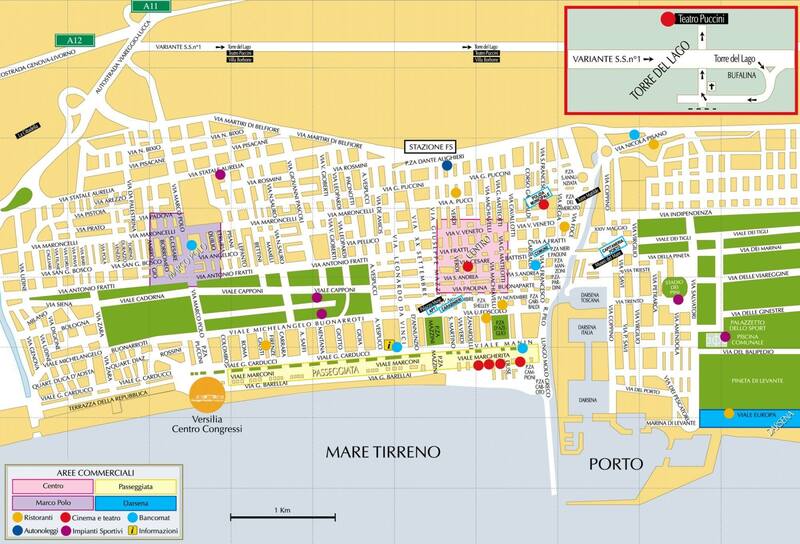 Viareggio railway station is located near the city center, with 60 daily trains running along the Rome–Pisa–La Spezia–Genoa line, and the line to Pisa and Florence. The summer Puccini Opera Festival is held at Torre di Lago Puccini, about 4 kilometers from Viareggio.